The North Norfolk coast might not be the first place that springs to mind when you think of Britain's great beer brewing tradition, but perhaps it should be—the area produces some of the world's finest malting barley, a key ingredient in what is arguably the nation's (and perhaps the world's) favourite tipple. 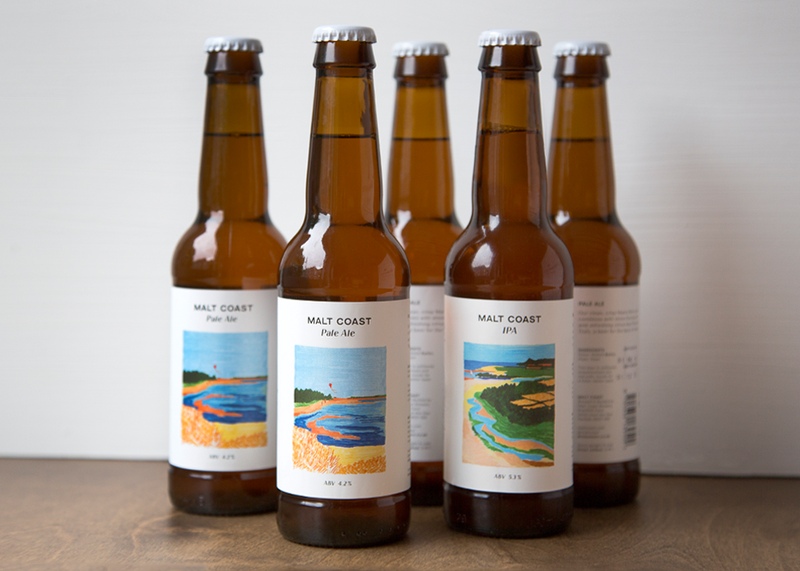 Malt Coast, a new craft brewing venture based just outside of Wells-next-the-Sea, seeks to celebrate the area's proudest export and place North Norfolk firmly on the map for craft beer connoisseurs and casual drinkers alike. 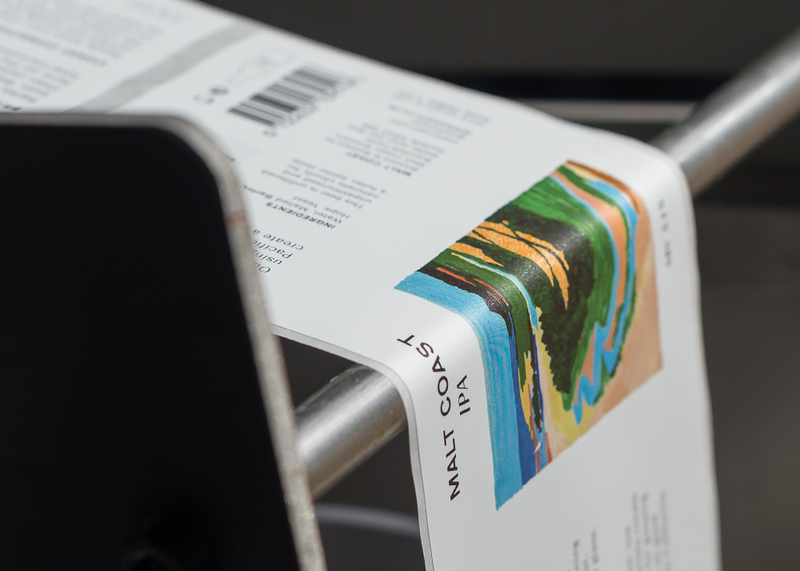 Founders Bruin and Max Maufe recently called upon the talents of design studio Polytechnic to create a brand identity and set of label designs for Malt Coast, and the elegant results take a brave but successful step away from the hectic aesthetic of many existing craft beer brands. Creating the identity for a beer brand had been on Polytechnic's studio bucket list for some time, according to founder Arthur Carey, and the commission from Malt Coast was serendipitous—both he and collaborator Aaron Skipper, who Carey brought on board to work on the project, grew up just outside Wells-next-the-Sea, close to the Maufe family's Branthill Farm. 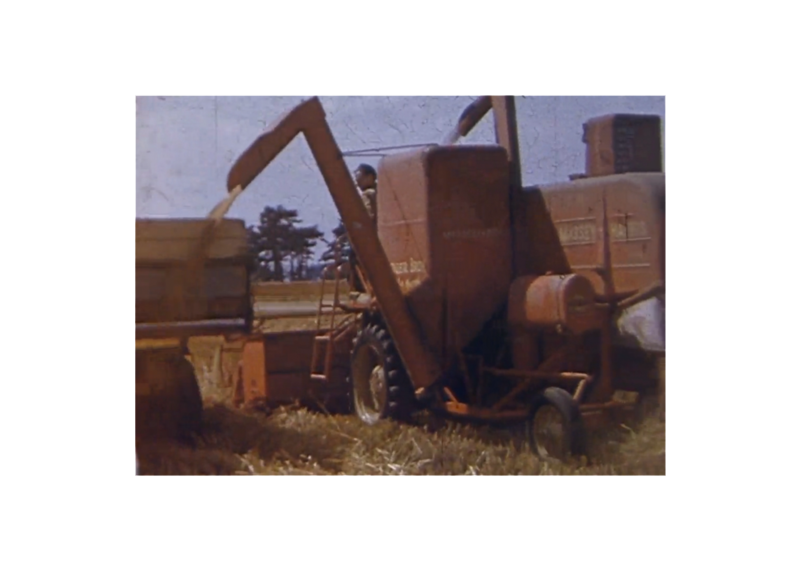 The family have worked the farm for generations, malting their Maris Otter barley at a traditional floor maltings down the road in Great Ryburgh, where Skipper's great grandfather happened to have worked as Master Maltster for much of his working life. 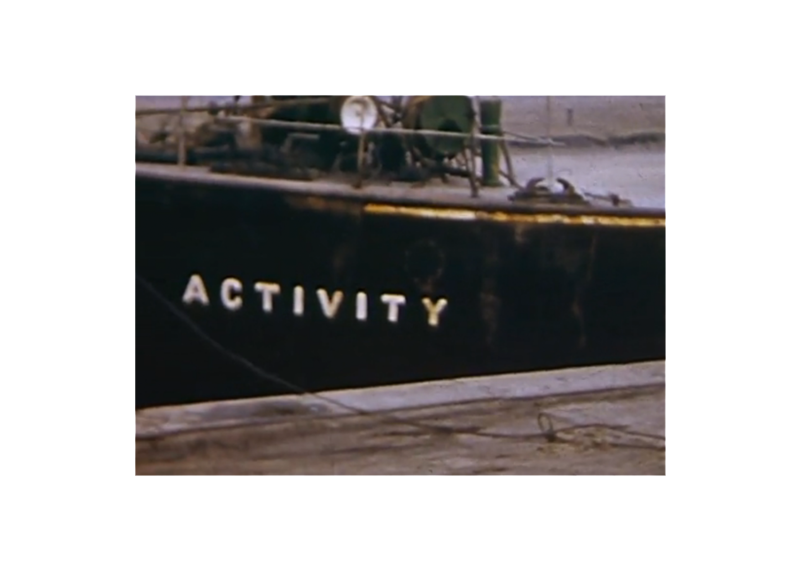 "It was great that both Arthur and Aaron, despite living and working in London, understood Norfolk," Bruin Maufe explains. "That was important because we wanted the product reflect the place. There are many fantastic craft breweries based in London that go for in bright colours and very bold branding as a means of standing out. We felt our story was something that needed to come though—beers with provenance." 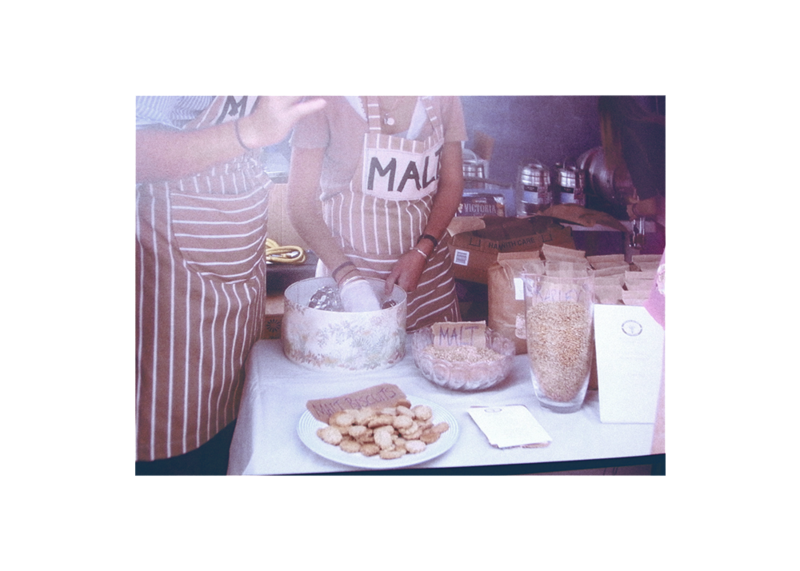 A previous Maufe family venture involved selling malted barley biscuits at local markets—the hand-drawn type on these family aprons were something Carey and Skipper picked up on during the research process. 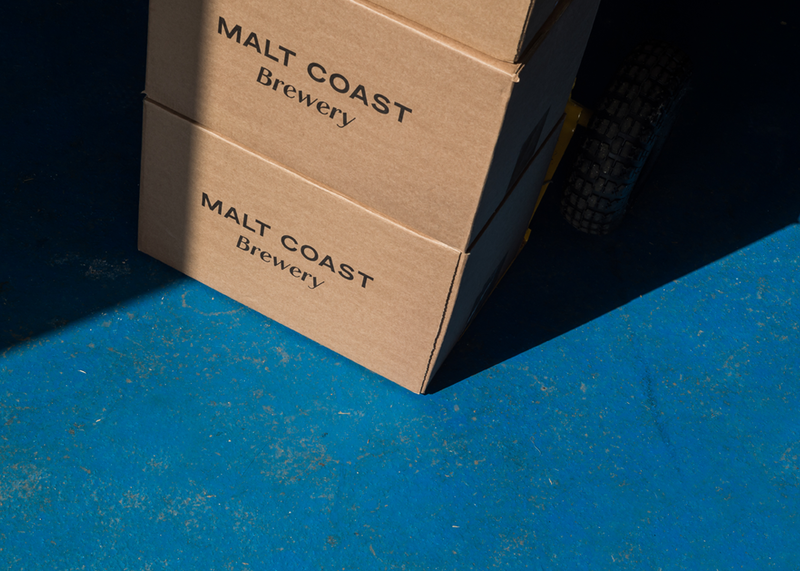 "There were two key considerations that dictated the direction of the branding," Carey explains, "one was that we wanted to celebrate the unique story of the Malt Coast brewery, and the other was the need to create something that was suitably visually distinct in a very busy market. Within the craft brewing scene in the UK, Brew Dog is seen as the bastion of the alternative craft beer movement but it is now mainstream and stocked in most major supermarkets. This signalled to us that the brash, punk visual aesthetic that is so prevalent in the market has run its course." 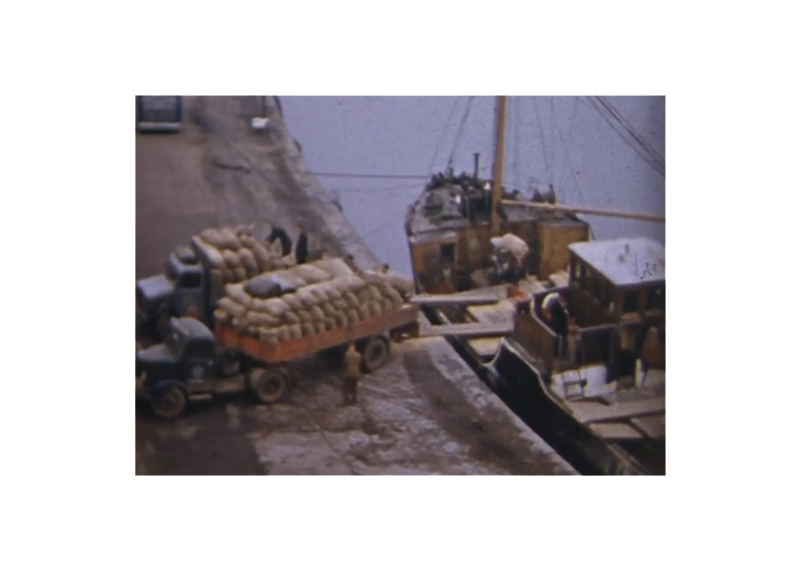 "Our focus on the brewery’s story was ultimately crucial to establishing the distinct visual direction. We further sought to avoid the urban/street-art inspired illustrative style that is so prevalent in the market as it jarred with the rural story of the new brewery. 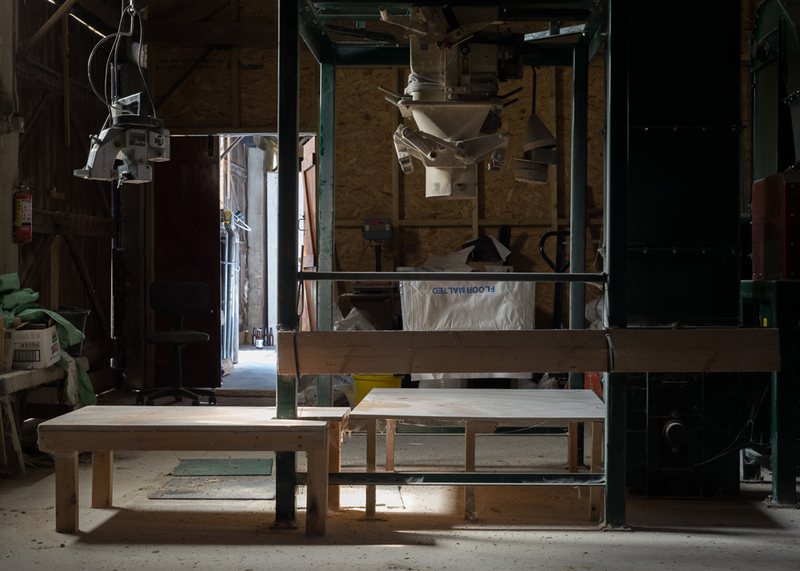 The brand story is a family one, one of provenance and total traceability of ingredients—unlike much of the competition who brew in urban spaces with low grade ingredients. We felt it was key to communicate this key point of difference throughout the branding." 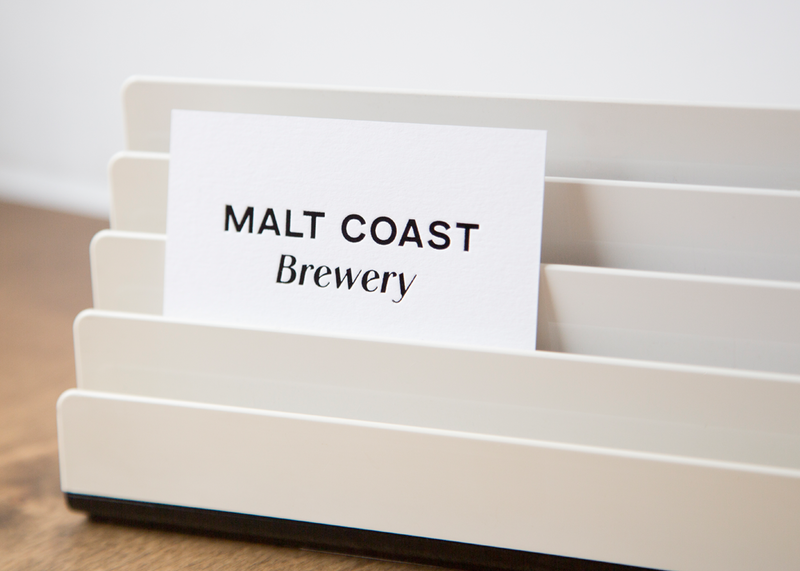 To accomplish this, Carey built a team of collaborators alongside himself and Skipper, calling upon the talents of Alicia Galer for illustration, Victoria Siddle for print/brand photos, and Spencer Wilton for photography of the brewery itself, which show the new identity in context. "This commission is typical of a Polytechnic project. As the name suggests, we appreciate that many arts are required in the production of good communication or design work," says Carey. "The first and most crucial relationship is the one formed with the client, in this case Bruin and Max, and once conversations were underway the nature of the team required on the project became clear." The celebration of locality was key to the development of the brand and consequentially to the design itself, as Carey explains: "We noted that the world of wine is one of regions and this emphasis on provenance had not yet been championed in the beer market. 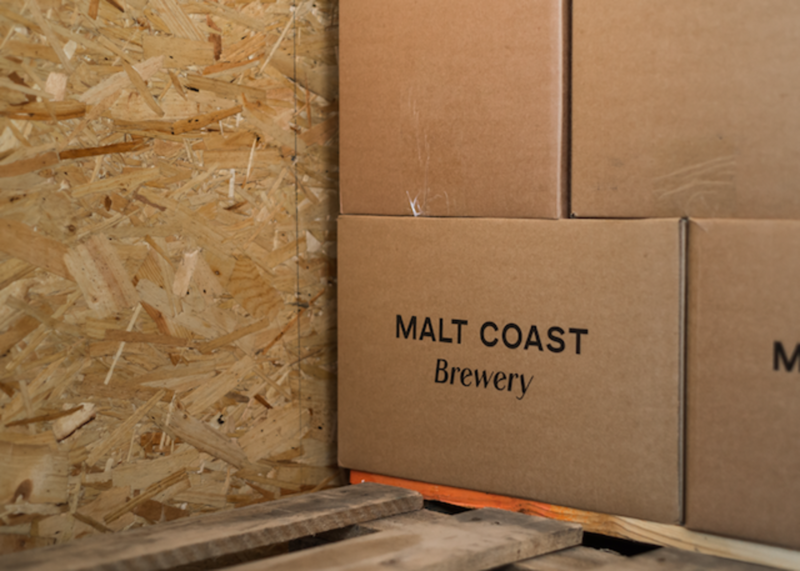 Max and Bruin’s setup offered the opportunity to establish a region, not merely a product—Malt Coast would be able to be owned by the brand. To celebrate this different starting point, we pushed for a more considered and calm approach to the identity." The resulting design makes effective use of clean, pared-back typography with a generous amount of white space, accompanied by warm, textural illustrations by Alicia Galer for the bottle labels and can designs. 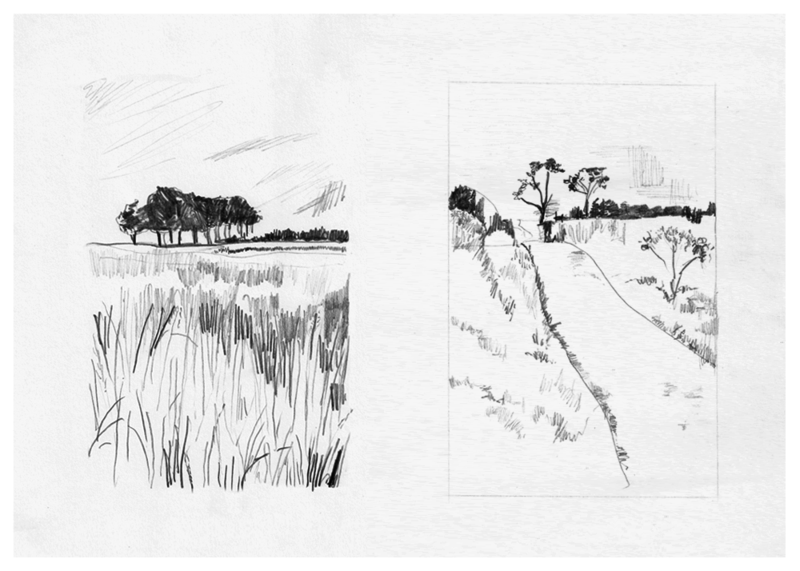 These were created with the aim of truly reflecting coastal life in Norfolk, with a narrative rhythm running through each successive illustration. "The idea of an image maker creating semi-abstract images reflecting the spirit of the place really appealed in this context," says Maufe. 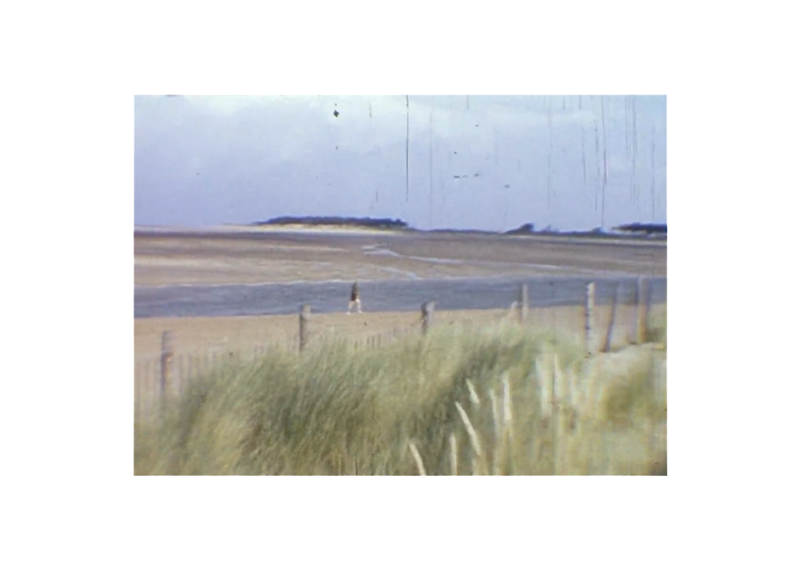 "Furthermore, we wanted the images to appeal more widely than to those just based in North Norfolk—the idea of coastal and rural themes that could be appropriated by everybody." 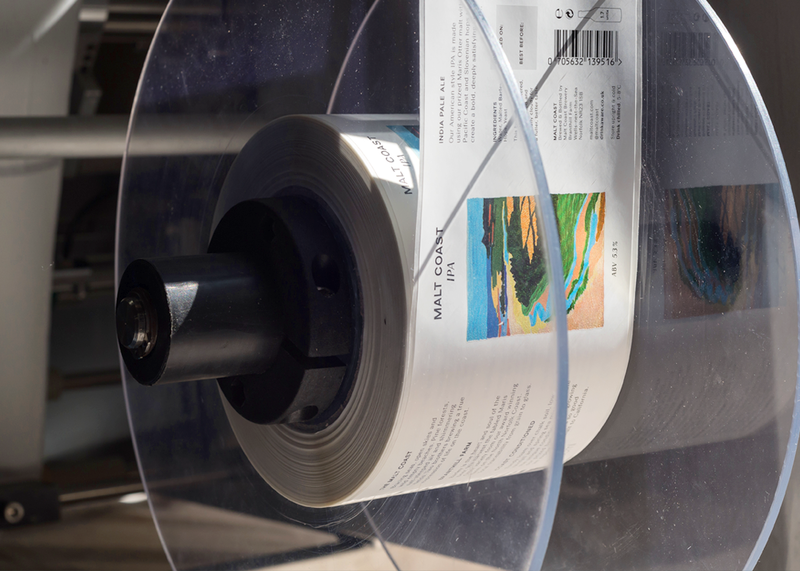 "The idea behind the subject matter for the illustrations is that every new beer added to the range will bring the audience closer to the farm and the barns where the beer is brewed, up from the sea," says Carey. 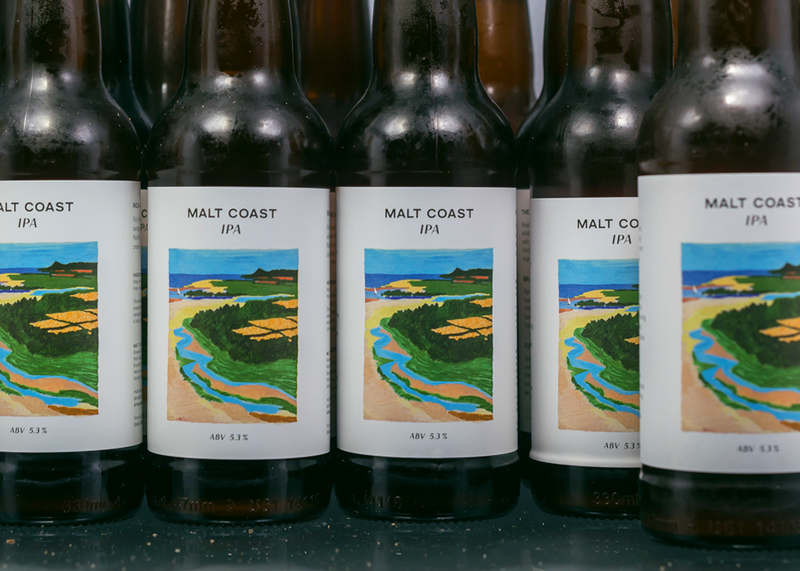 "For example, the IPA, the first beer, is a Peter Lanyon inspired ariel shot, establishing the coastline of the Malt Coast, and the next beer, the Pale Ale, is a view at eye level of someone on the sand dunes approaching the beaches." 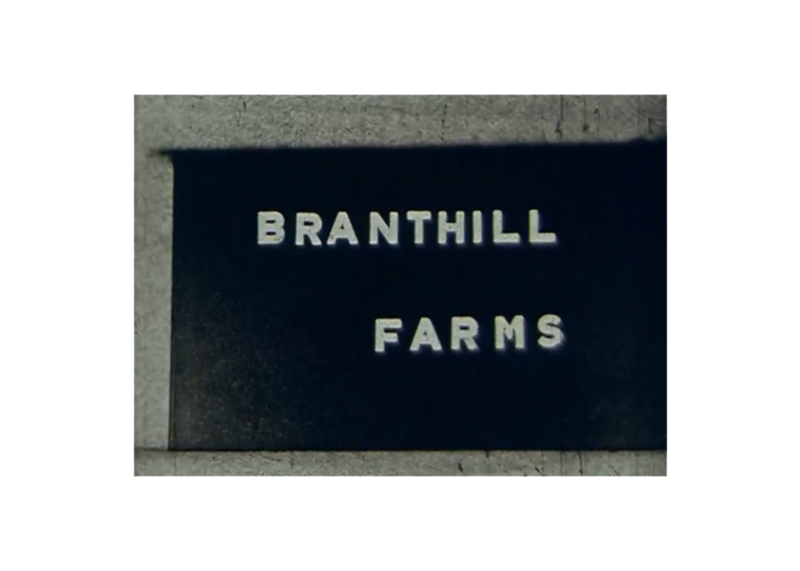 Typography for the logotype and packaging was created specially for the project, and was another aspect of the identity which took inspiration directly from the Branthill Farm and the surrounding area. 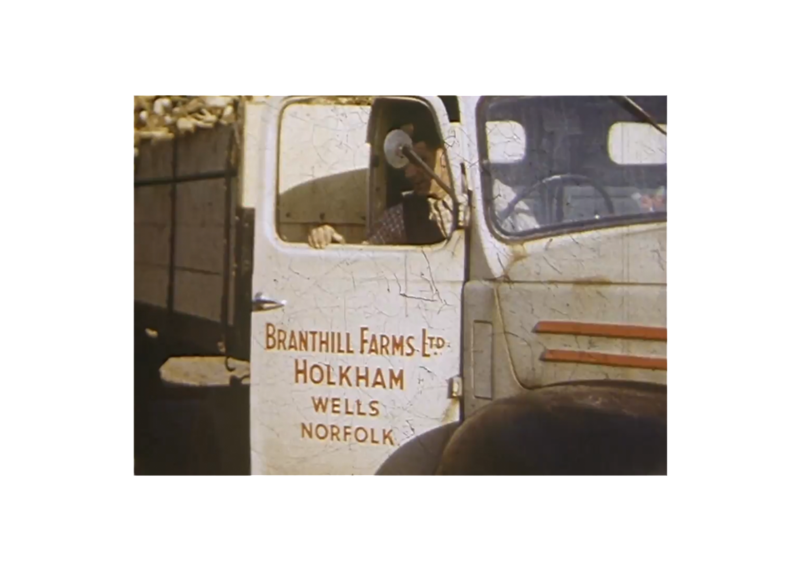 "On a visit to the farm we found an eclectic range of grotesques in use, from the farm’s own printed hessian sacks from the 1950s through to vehicles and signage in film footage and photos from the 1950s to the present day," Carey explains. "Much of this lettering was carried out by local sign painters, and the resulting neat yet slightly odd feel to this lettering was something we wanted to mimic in the brand’s new letterforms. 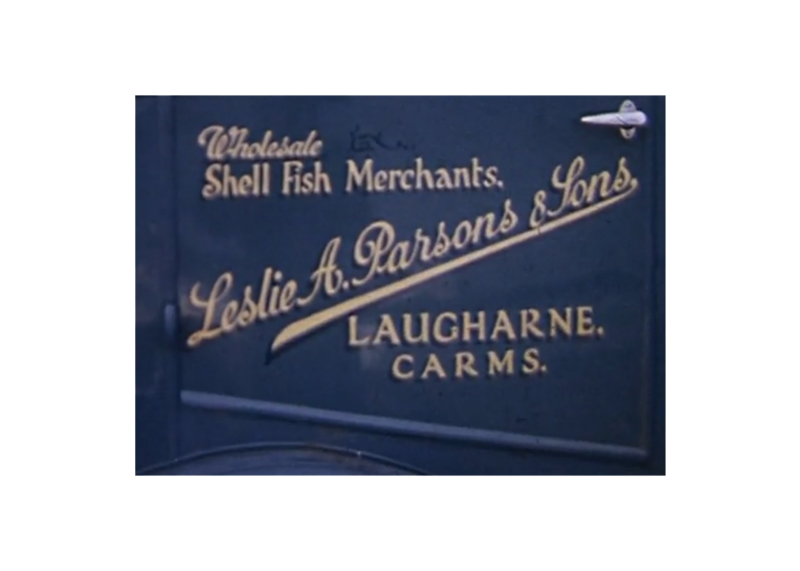 This old type had a warmth to it which we wanted to emulate." 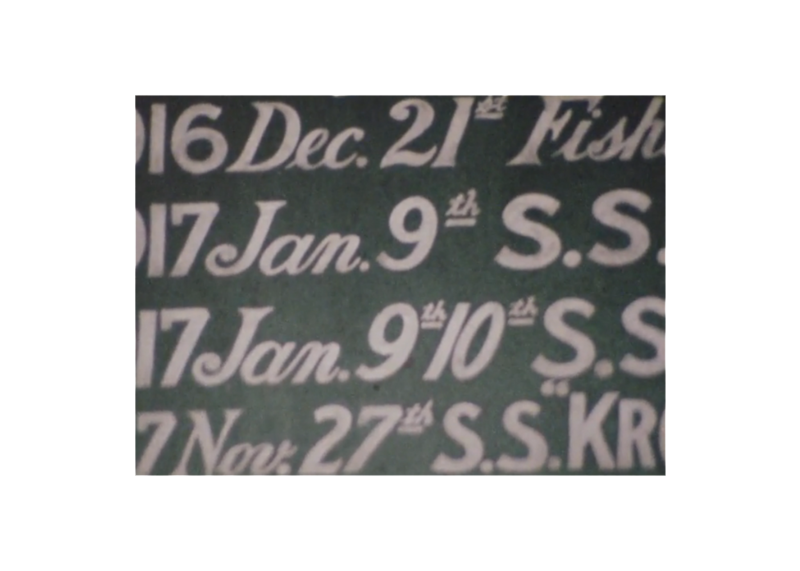 "We drew up bold uppercase grotesque letterforms for the main logo, and the forms of an unusual oblique to be used for the beer names and other supporting logo lock-ups. Neither exist yet as complete character sets, so for the purposes of the body copy on the labels, we paired cuts of Colophon Foundry’s Basis Grotesque and Yassin Baggar’s Beausite, resulting in a complimentary feel to the main brand lettering." Right now, Carey and his team are working on the designs for the brewery's next new beer, an Amber Ale, for which Galer is creating another of her atmospheric illustrations. 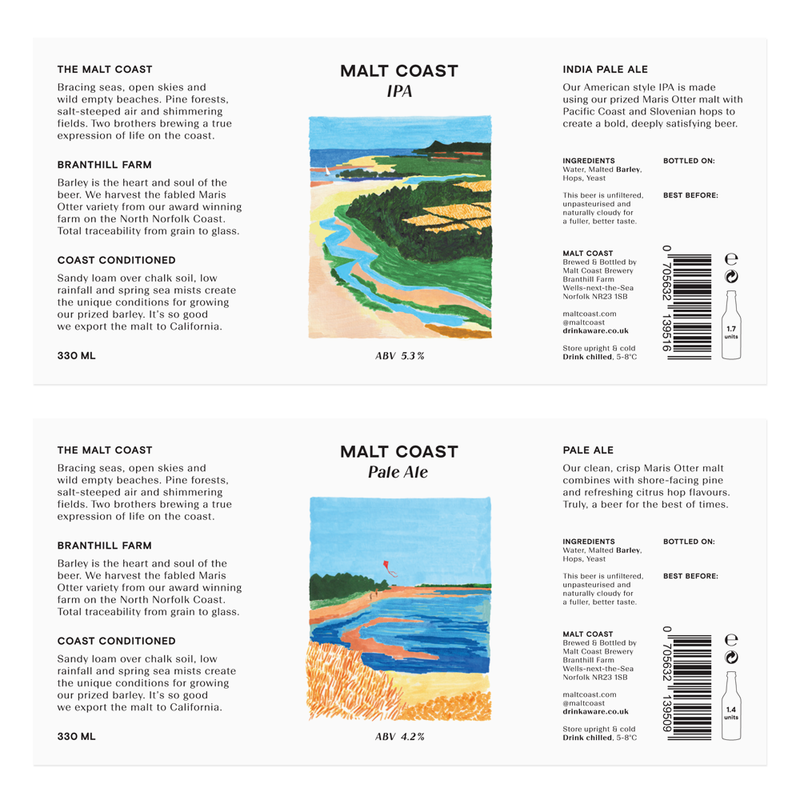 Malt Coast's Pale Ale and IPA are now available in delis and cafes along the North Norfolk coast, and the founders are looking forward to expanding their distribution into London and beyond. "We're delighted with the end result," Maufe tells us. 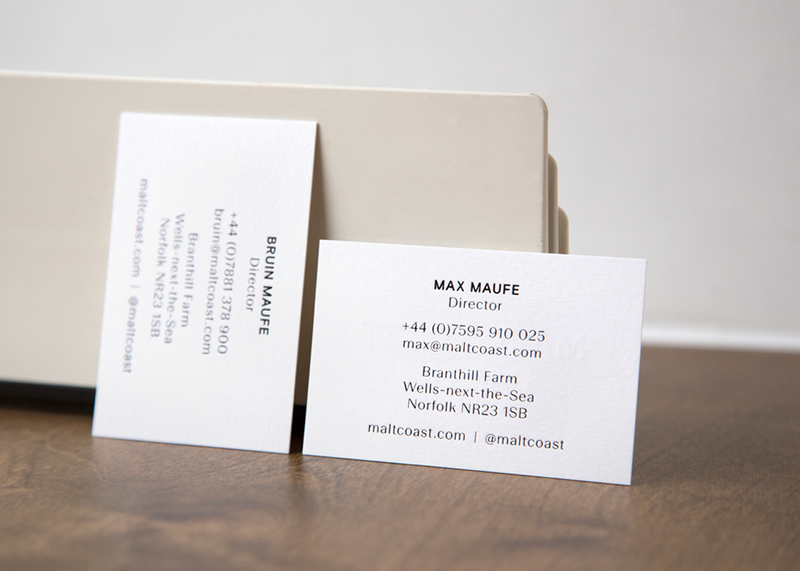 "We feel it reflects our brand—helping to emphasise the provenance of our product. Beautiful beers from a beautiful place."